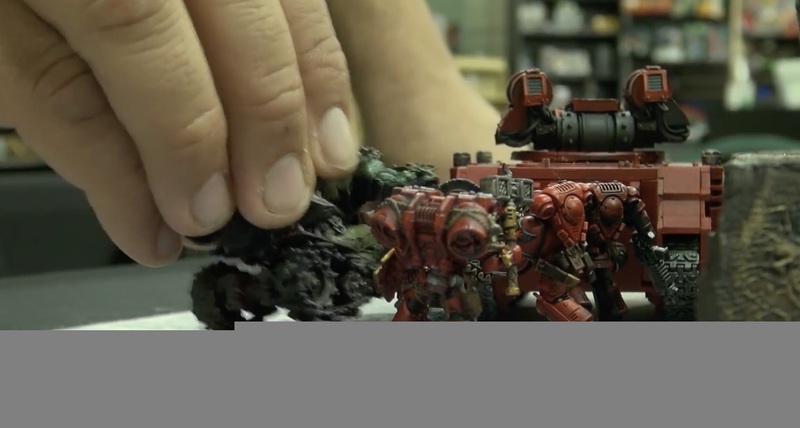 Home Warhammer 40k Board Control Basics! When talking about how to become a better 40k player, it’s common to point to small tricks or tips that are the secret to becoming better. The problem with relying on tricks is that, due to their reliance on very specific board states, they are difficult to consistently apply in practice. 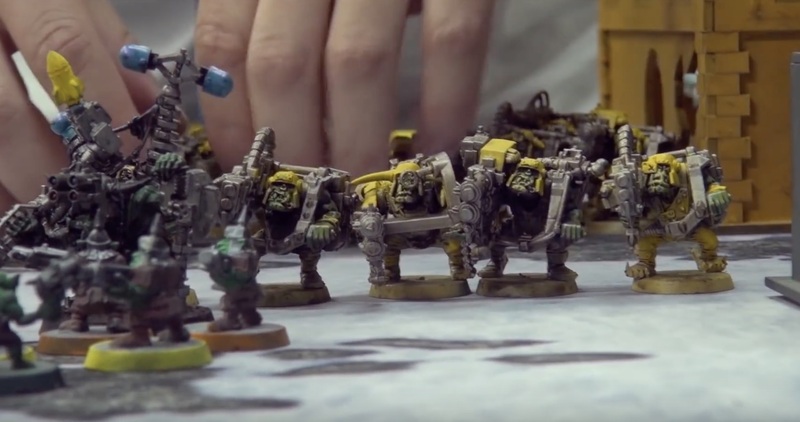 While learning that sort of micro strategy is important to becoming a better player, a more important and less frequently-dicussed component of competitive 40k is the macro strategy: board control. Learning how to exert control over the 40k table is probably the single most important skill you can develop if you want to win more games of Warhammer. While it is difficult to improve your micro strategy specifically, board control should be a major facet of your overall game-plan in every single game of 40k you ever play. In this and subsequent articles, we aim to define board control for newer players and provide coherent ways for both beginners and more advanced players to implement good board control into their games of 40k. First, let’s all get on the same page conceptually about what board control is, and how to approach games of 40k. 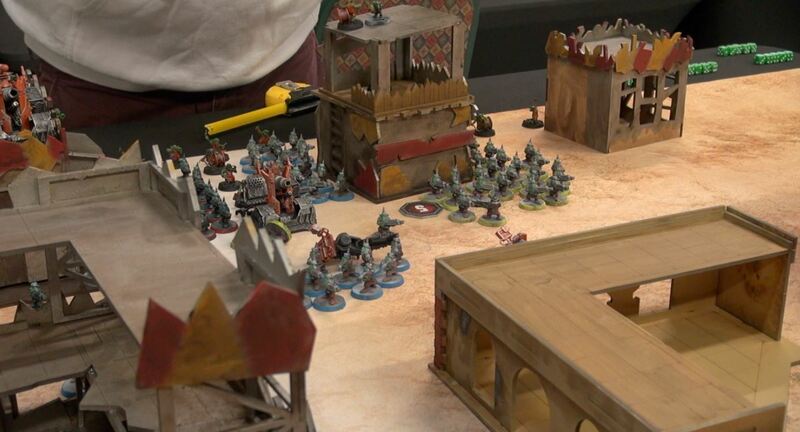 The first step to becoming good at Warhammer is realizing that having more points than your opponent wins the game. That may seem extremely basic, but it is surprising how many players approach games of 40k aiming to smash their opponent’s army and hope enough points fall out of it to win at the end…only to find out that the opponent has more points than them when the game ends! Games are won by accumulating points and points are usually gained by holding objectives and fulfilling specific missions. Board control is the way you turn your 2000 point army into an engine that holds objectives and achieves missions, while simultaneously denying your opponent the ability to do the same. Generally, this takes the form of denying your opponent areas on the board in which they can place their models safely through a combination of screens and threatening units. Many players make the mistake of thinking of units just as the models you put down on the table. Any model you put down should really be viewed as the area which they can easily threaten. The zone is the size of their movement plus their weapon’s range if they are a ranged unit and movement plus charge range if they are close combat. That bubble is the area on the table they can effect and exert control over. If your opponent moves into that area, you can hurt them. Properly placing that bubble on the table to control key areas of the board is essential. However, not every section of the board is equally important. For example, the area surrounding an objective is prime real estate, and if you can prevent your opponent from being able to move into it, you can score points. Units like guardsmen can do this by just physically standing between the enemy and the objective, preventing them from moving through. However, powerful combat or shooting units gain value if they can place their threat bubble over the 3” surrounding the objective. This threatens to destroy any enemy unit attempting to either kill your scoring unit or to take the objective for themselves. Your opponent will often not want to throw units away and will usually choose to leave the objective alone meaning your unit gained value without having to move or waste shots. It is usually better to leave powerful units a decent distance from the objective, far enough away to be safe but still using their threat bubble to wall off your opponent from taking the objectives they need. That is the essence of board control, using the threat your units pose to control where your opponents can go and to earn you points. There are other areas of the board that are important to control in order to win the game. In next week’s article I’ll go over the most important board control concept: how and why you should control the center of the board! And be sure to stay tuned after that, as we’ll be dividing into advanced board-control concepts and army builds to counter powerful armies like Orks, Guard, and Eldar!